now have look in above picture requirement number 1. Here you can see that requirements are correct , design is a correct build is also deployed correct and finally the product is working as expected to the requirement.so here there is no defect found due to each and every step is working fine. 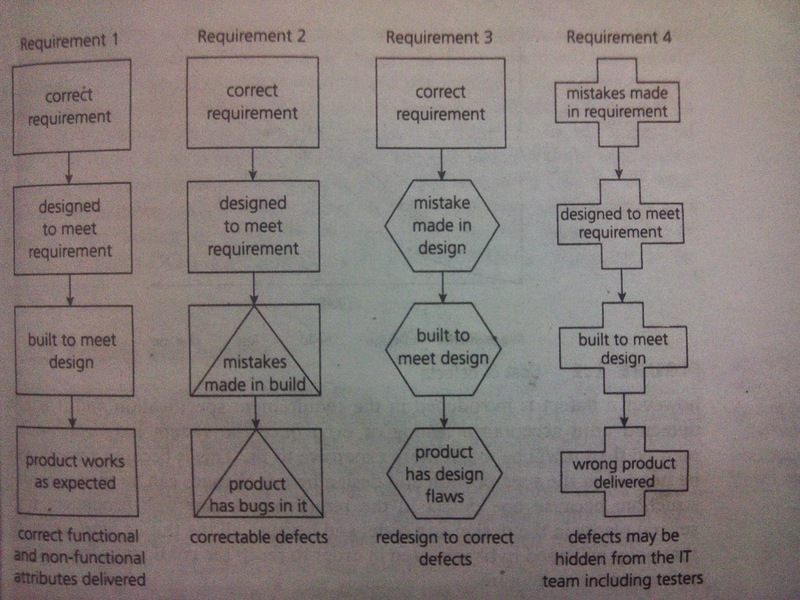 Now have a look on requirement number 2 in same picture you can find that there is a mistake made in build and due to which product is not working fine so defect found in production also. Now look into the requirement no 3 same picture here you can see that mistake is made im design due to which build meet the design which is not correct and hence the product is not working fine.